Like many back-country enthusiasts I do a lot of camping to facilitate my addictions to skiing, climbing and alpinism. This can involve easy car camping where I drive right up to the camping spot (Indian Creek, Red Rocks, Yosemite, etc.) to locations where I take a helicopter or plane into a camping area (Tantalus, St. Elias, Ruth, etc.) to where I actually need to hump my stuff in on my back (Bugaboos, Valhallas, Rogers Pass, etc.). While we often focus on fast-and-light alpine, hike in and do-it-in-a-day type equipment here at Black Sheep we felt that there was also room to undertake more reviews for hike-in-base-camp, fly-in and even drive-up style camping equipment as well. So, as an installment on that type of review, enter Helinox with a sic light-weight and comfortable camp chair, the Chair One. 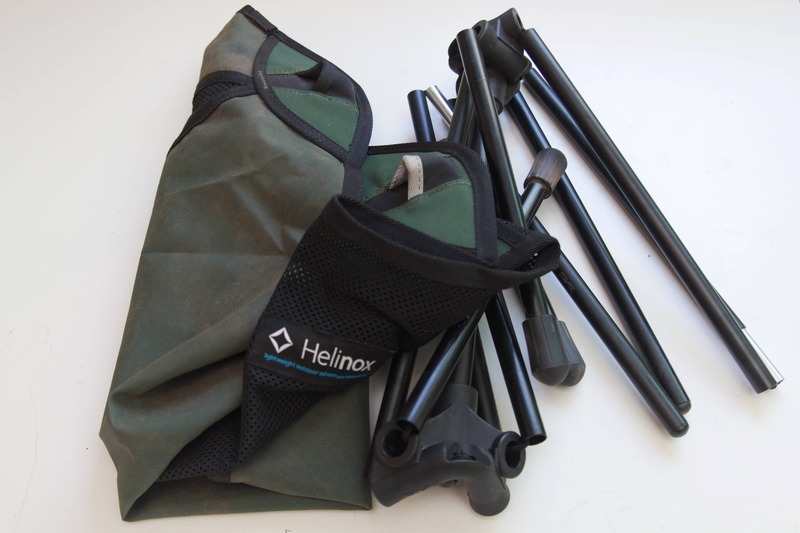 Helinox has developed a lineup of chairs, cots, etc. for the back-country enthusiast that wants a few creature comforts. 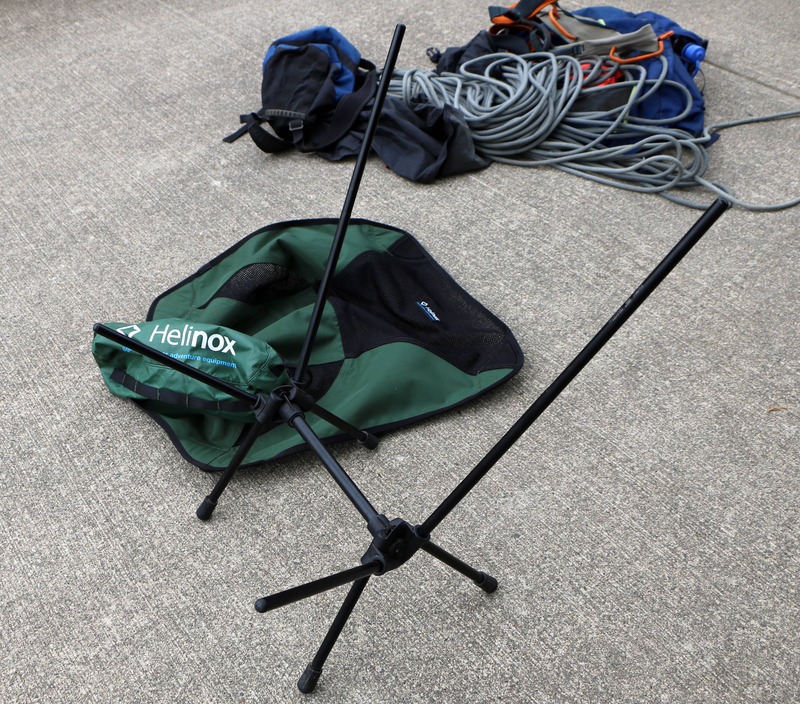 At the last OR show in Salt Lake we got a good look at some of Helinox’s gear and thought that the Chair One would be great to review for the car, flight or short walk base camp type camper. Just because you are in the back county doesn’t mean you have to suffer right! The components of the chair: frame, fabric body and the bag. 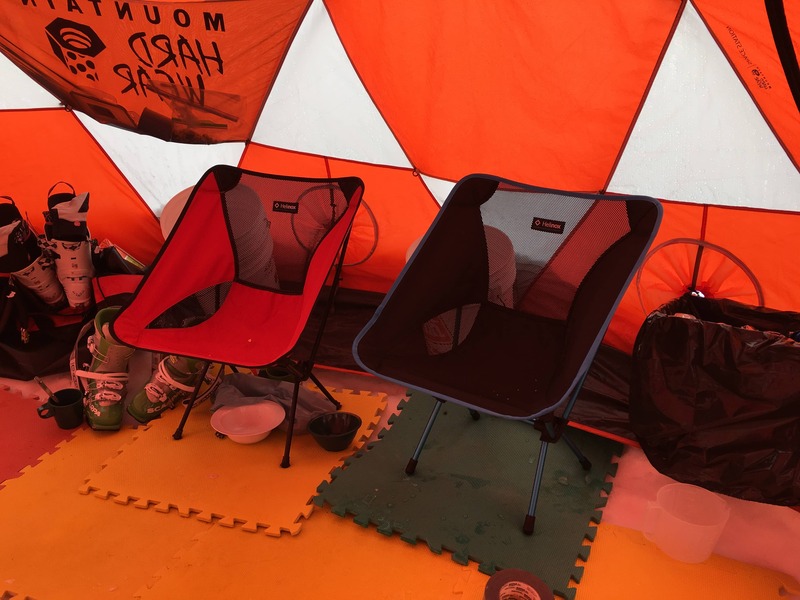 The Helinox Chair One is a simple and light (900g) but very comfortable chair that works equally as well on expeditions and long trips as for days at the crag. The longer I’ve have the chair the more uses I seem to find for it to the point now where it lives in the car full time. You just never know when you’ll want a seat… parking lot beer or coffee, cragging chair, a seat for that backyard bbq, etc. and this thing is tiny and weighs next to nothing! The chair frame broken down beside the fabric of the seat (the redish color is due to sand from Indian Creek). The frame of the chair assembles like a tent pole, quick and easy. The chair is incredibly packable as all the frame components break apart like tent-poles after the fabric portion of the chair is removed. All in, it takes less than a minute to set-up (or take apart) starting from a roughly 1L water bottle size package and resulting in a small but comfortable chair. Overall: The longer that I have this chair the more I find myself using it. I started bringing it to the crag as it easily fits in my pack and weighs nothing, I have it in the car for when I need a seat for a parking lot beer or coffee session, I’ve taken it on bigger trips where a little comfort goes a long was such as into the Bugaboos or long base-trip type camps. If you are looking for a great light-weight pack-able chair this is the one! A test sample was provided to Black Sheep but this didn’t influence our review in any way.